Step 1: Make out to Access Equipment Corp, Sign and Date check as normal. 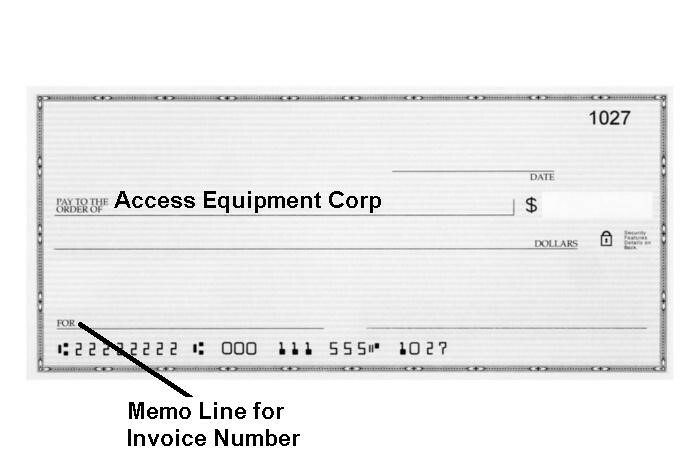 Step 2: The invoice you received has a reference Invoice number in the upper right hand corner. Please write it in the Memo blank of your check .Be sure the black digits at the bottom of the check are legible, or your payment cannot be processed. 256 245 8390 If you have any questions.